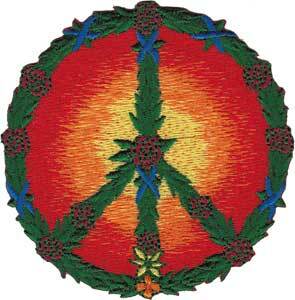 This Peace & weed patch was designed by Grateful Dead poster artist Stanley Mouse. It's a peace sign made out of marijuana leaves and is about 3" round. Embroidered patches can be ironed on or sewn on.